Google made good on its word and officially released the second version of its Android Wear operating system on Wednesday. The launch of two new LG smartwatches that support the new OS made the day even more exciting for all smartwatch enthusiasts. With Android Wear 2.0’s launch also came the most anticipated feature, the Android Pay, an app that enables you to complete transactions throughout participating stores across the globe simply by using your watch. 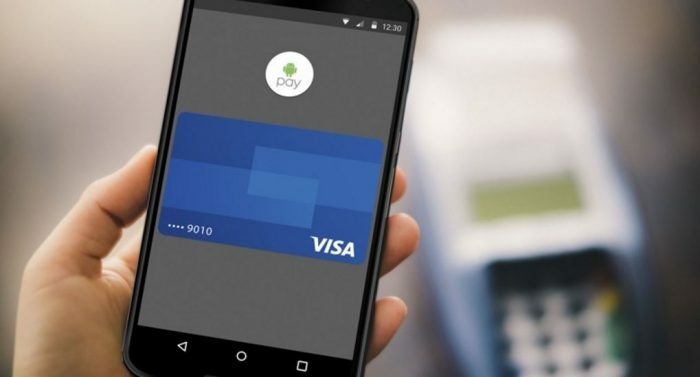 Let’s take a look at the top highlights of the new Android Pay app. Once you open the Android Pay app on your watch, the desired card will appear (you can add multiple cards). All you have to do is hold your watch to the terminal and complete the payment process. A tick will show you that the transaction was successful. The app also allows you to check the history of transactions made with your time piece. There is a separate process for setting up payment options on your watch, so it’s not enough just to add a card to your smartphone. Android Pay does this for security reasons – your watch must keep cryptographic info of your card in its own ‘trust zone’. The great news is that it is much easier to add a card if you previously added it to your phone. Even if you didn’t, you can use your phone as an input device to enter all the details about the card. You will have to use the lockscreen feature of your watch in order to use Android Pay. This is a security measure we all expected, considering that the app requires the same from your smartphone. It might sound inconvenient, but it’s for the best. LG Watch Sport, the first model that uses Android Wear 2.0, uses sensors on the back of the watch to lock your screen. As soon as you remove it from your wrist, the watch will lock itself and disable Android Pay. This one surprised us considering that the payment app on your watch works independently from your phone. Don’t bother with trying to install the app if you unlocked the bootloader on your smartphone. It will result in failing and will notify you of the security concerns. If you look at the bright side, security features are important and we are glad that Google paid high attention to avoid any payment misuse. It guarantees that Android Pay is a simple but safe and reliable way to use your watch to complete transactions.